Who is Noble Manhattan Coaching Ltd.? Noble Manhattan Coaching is known as the most caring coach training company and is the longest established company that trains Professional Life Coaches and Executive Coaches in the world (first registered 1993 ) and well-established leaders in the field of personal development. We have, for years, worked with both individuals and companies to raise their level of self-empowerment and achievement. We are delighted that Starting in October 2010 we have begun working with strategic partners and licensed distributors worldwide and are now delighted to be trading in 29 countries around the globe. Our motto is “fortune favours the prepared mind” and all of our courses, presentations and products are aimed at providing you with the mindset you need to make the most of the life ahead of you. We firmly believe everyone has the ability to be, do and have anything they desire. So if you have the willingness to learn we can provide the rest. This website provides a wealth of resources and information for people who want to grow, and for people who want to train to be magnificent life coaches, executive coaches and corporate coaches. There are details of our comprehensive range of personal and corporate development courses, popular with individuals and companies alike. You may wish to benefit from our Personal Coaching service or even train to be a Professional Practitioner Coach yourself. Katrin Prentice, Accredited Mater Coach (IAPC&M),Managing Director of Palitri International Ltd t/a Noble Manhattan EuropeТМ. I am the first Bulgarian ‘Master Coach’, accredited by the International Authority for Professional Coaching and Mentoring (IAPC&M), with over 18 years 3000 hours of experience working with individual clients and is in the process of finalizing my accreditation as a Master Coach with the International Authority for Professional Coaching and Mentoring (IAPC&M). I am an experienced Executive Coach. I primarily specialize in; life dynamics and help clients with cases related to work / life balance, career choices, relationships with others, time management, achieving success in the workplace, well-being of spirit, mind and body, making important decisions, etc. I have over 8 years of experience as a coach of teams in non-governmental organizations in 9 countries of Eastern Europe. I have lived seven years in Hungary and 12 years in Romania. My personal and professional life leads through working in 23 different countries, giving me an extensive experience working in an international and multi-national environment. I have participated in organizing and conducting training sessions in several countries, including Romania, Croatia, Albania, Hungary, Germany, Ukraine and others, on topics such as personal counseling, human development, PR, internal organizational coaching and management teams projects profit. In 2011, My partner and I opened Palitri International Ltd t/a Noble Manhattan Europe ТМ and I am currently the Managing Director. I am a motivational speaker with an internal charge and energy that easily grabs the audience. I am a Co-author of the e-book “21 Affirmations for Attracting Abundance“. Mentor-coach’s, Trainer, and one of the final assessors in the Noble Manhattan Coaching Faculty. 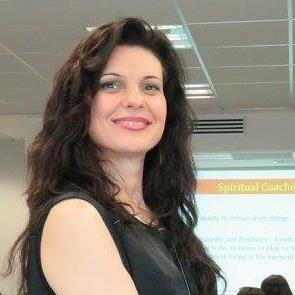 Founder of NMC Coaching Support Bulgaria – with centers in Sofia and Varna. I am a Regional Director and Regional group Manger of The Alpha Group. In 2014 our company trading received nomination for Company of the Year 2014 For Contribution to the Development of the Coaching Industry in Bulgaria. There are obvious advantages in having motivated employees, committed to achieving clear goals and improving performance. 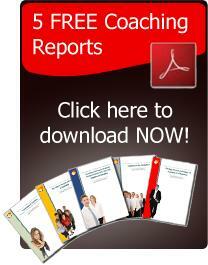 Coaching can be used to complement other training and development initiatives. For example, it can be used to follow up training courses and help people to implement what they have learned. Since much learning which takes place on courses can dissipate as soon as the person gets back to work, using coaching to ensure the transfer of learning can greatly increase the Return on Investment in training. The Alpha Group is the most effective business growth tool available to Owners and Managing Directors of Small and Medium Enterprises. If you are serious about dominating your market and tripling your Value in two years, The Alpha Group is the right place for you. ** What Does Joining The Alpha Group give me as an SME Owner?